Arima Ryofu Kawazashiki is held from July 29th through August 28th. 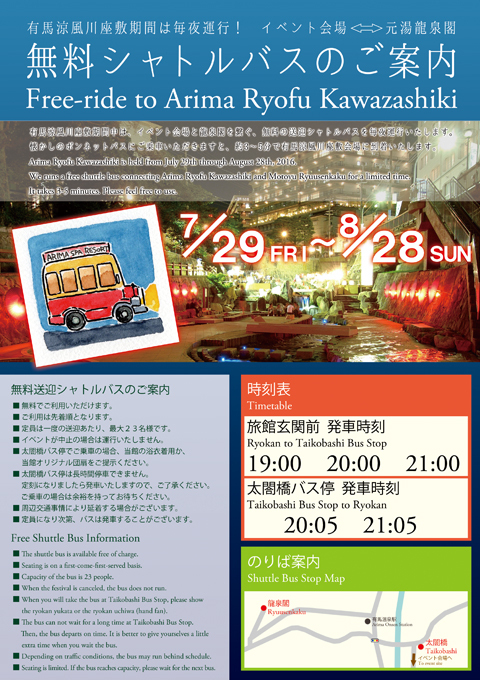 We runs a free shuttle bus connecting Arima Ryofu Kawazashiki and Motoyu Ryuusenkaku for a limited time. It takes 3-5 minutes. Please feel free to use. ■ The shuttle bus is available free of charge. ■ Seating is on a first-come-first-served basis. ■ Capacity of the bus is 23 people. ■ When the festival is canceled, the bus does not run. ■ When you will take the bus at Taikobashi Bus Stop, please show the ryokan yukata or the ryokan uchiwa (hand fan). ■ The bus can not wait for a long time at Taikobashi Bus Stop. Then the bus departs on time. It is better to give yourselves a little extra time when you wait the bus. ■ Depending on traffic conditions, the bus may run behind schedule. ■ Seating is limited. If the bus reaches capacity, please wait for the next shuttle bus. 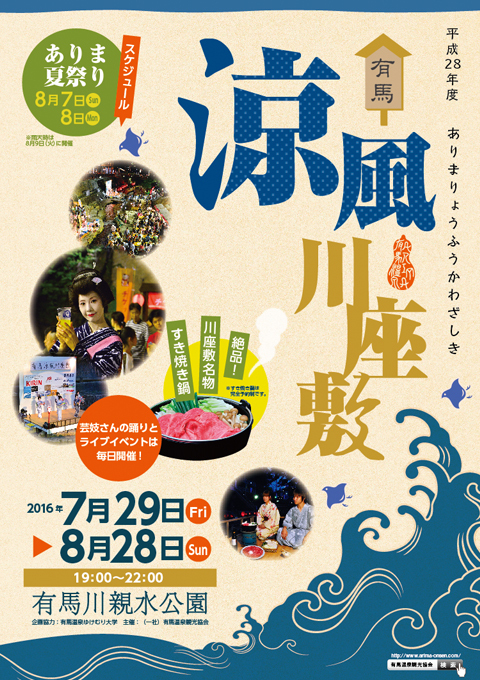 Arima Summer Festival takes place for two nights on Taiko-dori Street. 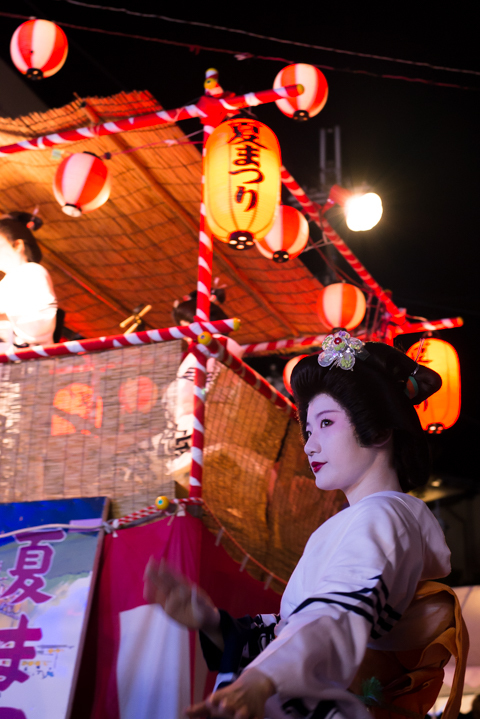 Visitors can enjoy night stalls and traditional Japanese-style dancing with geisha.